There's now a way to increase the chance of finding lung cancer early. Lung cancer is the most common cause of cancer death in the United States. Screening is now available to help find lung cancer in its early, more curable stages. Finding a lung tumor early can lead to more treatment options, less invasive surgery, and a better chance of survival.  John Theurer Cancer Center, part of Hackensack University Medical Center, offers low-dose computed tomography (CT) scanning to screen for lung cancer in people at risk of this disease due to current or former smoking. Low-dose CT lung cancer screening is quick and easy and results in a minimal amount of radiation exposure. Studies have shown that CT screening can lower the risk of death from lung cancer by 20 percent in people who are at high risk for this disease. Without screening, lung cancer is usually not found until a person develops symptoms, when the cancer is much harder to treat successfully. If you have already stopped smoking, congratulations and keep up the great work! If you have tried to quit smoking in the past, keep trying—each attempt will help you reach your goal. In fact, we have a smoking cessation program that can help you get there, offering free smoking cessation counseling and free nicotine replacement. All participants in the Lung Cancer Screening Program who are currently smoking will receive access to a telephone quitline, as well as web, print, and text-based educational materials. In addition, some participants may opt to receive three to six brief telephone counseling sessions. Our representatives will take your insurance information and confirm your coverage for the lung cancer screening exam. This procedure should be fully covered under almost all insurance plans for patients who meet the criteria. For patients without insurance who need to pay on their own, John Theurer Cancer Center is offering lung screening for a discounted fee. Our program is led by a multidisciplinary team of experts from radiology, pulmonary medicine, thoracic surgery, and medical oncology. Patients involved in the screening program will be guided through initial screening and long-term follow-up. If you need lung cancer treatment, we’ll connect you with our expert team of lung cancer specialists, who offer the most advanced therapies based on the results of the latest medical research. CT is a painless procedure which uses special x-ray technology to take many pictures of your body. In this program, we will perform a low-dose CT scan of your chest to produce detailed pictures of your lungs. The scan itself only takes about 10 seconds. You do not need to avoid eating or drinking before your exam, and you will not receive any medications or injections. You may be asked to change into a gown from the waist up. Learn about all the ways we go above and beyond to make a difference in the lives of our patients and their families. Call us to speak with a member of our intake team.